The so-called customs house to the right is from 1876 and has some qualities, but it is hardly invaluable. 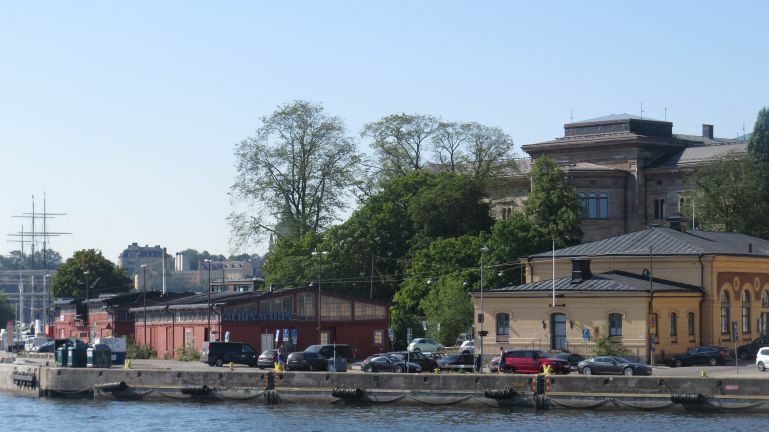 The boat sheds to the left even less so, and the area between these buildings and the museum property there is – nothing. A shabby empty lot, not even park or a lawn. The new building was intended to be in a modern design from a renowned architect. It would definitely have become a new landmark. But Stockholm is a strange place. Here these ugly places are held as sacred and there were major protests from some loudmouths. Eventually, partially as a result of the elections this year, the project was scrapped.